This Afternoon... Sunny, with a high near 66. 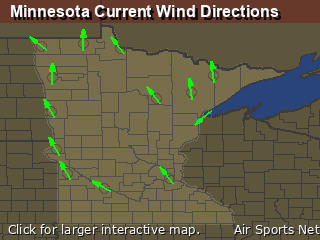 North northwest wind around 10 mph. Tonight... Mostly clear, with a low around 39. Northwest wind 10 to 15 mph. Friday... 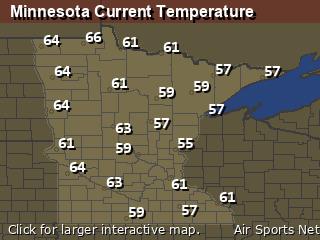 Sunny, with a high near 58. Northwest wind around 15 mph, with gusts as high as 30 mph. Friday Night... Rain likely after 1am. Increasing clouds, with a low around 37. North northwest wind 5 to 10 mph becoming east southeast after midnight. Chance of precipitation is 70%. New precipitation amounts between a tenth and quarter of an inch possible. Saturday... Rain before 9am, then rain, possibly mixed with snow. High near 35. Breezy, with an east wind 15 to 20 mph, with gusts as high as 35 mph. Chance of precipitation is 90%. Little or no snow accumulation expected. Saturday Night... Rain likely, possibly mixed with snow before 7pm. Cloudy during the early evening, then gradual clearing, with a low around 27. North northeast wind 10 to 15 mph decreasing to 5 to 10 mph after midnight. Winds could gust as high as 25 mph. Chance of precipitation is 60%. Little or no snow accumulation expected. Sunday... Increasing clouds, with a high near 46. Southeast wind 5 to 15 mph. Sunday Night... A 40 percent chance of rain, mainly after 1am. Mostly cloudy, with a low around 38. Southeast wind 10 to 15 mph. 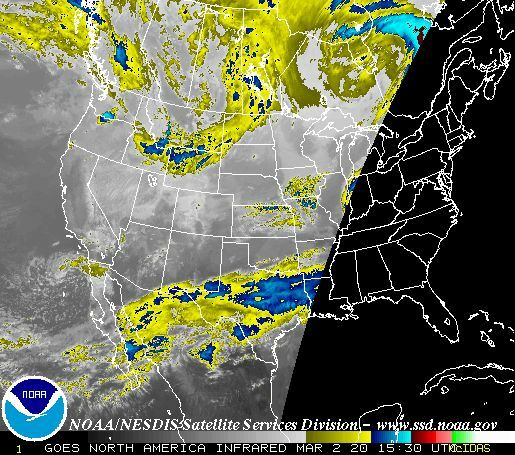 Monday... A 30 percent chance of rain before 1pm. Mostly cloudy, with a high near 53. Southeast wind around 10 mph becoming west northwest in the afternoon. Monday Night... A 20 percent chance of rain. Mostly cloudy, with a low around 36. Northwest wind around 10 mph. Tuesday... A 30 percent chance of rain. Mostly cloudy, with a high near 53. North wind around 10 mph. Tuesday Night... A 50 percent chance of rain. Mostly cloudy, with a low around 40. East wind around 10 mph. Wednesday... A 40 percent chance of rain. Mostly cloudy, with a high near 60. East wind around 15 mph.